Last night I was doing a bit of reading on the Krag-Jorgensen rifle — the main arm of U.S. forces during the Philippine-American War of 1899-1902, which is a key element of Cowboy Revolutionaries: Rough Ride Into The American Century. More on that dark chapter in a future post. The Krag was a good rifle, but its .30-40 cartridge was underpowered and it was superseded in 1903 by the Mauser-inspired Springfield rifle, which would, in 1906, be chambered in the all-time great all-around cartridge, the .30-06. The Krag was surplused and percolated out into the civilian population, where it was a popular deer rifle right up into the 1950s. My banjo-pickin’ buddy, blacksmith Jeff Wester, has his grandfather’s Krag hanging on his wall. Unfortunately, it has a cracked bolt, so it can no longer be fired. Some folks have made improv Scout Rifles out of Krags. 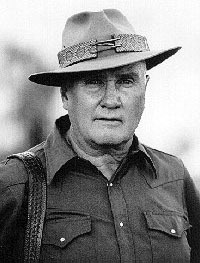 The Scout Rifle concept was the pet project of the influential writer and firearms instructor Col. Jeff Cooper. The Scout is supposed to be a general purpose rifle that can handle anything from hunting to dealing with two-legged varmints, in a light, robust, readily-carried, handy package. Cooper, as was his wont, was quite definitive as to what a Scout Rifle was. Bolt-Action: Cooper didn’t specify any particular style of bolt-action, as long as the action was reliable and operated smoothly. Weight: Scout rifles were to be 7 lbs. or lighter WITH the optics and sling, as the gun would need to be carried potentially for long distances in remote terrain. Size: The scout rifle was effectively a carbine, with Cooper’s design calling for a barrel of 19 inches or less, and an overall length of 39 inches or shorter. Nowadays these shorter barrels on bolt guns are more common, but when Cooper was building the scout rifle concept, carbines were not as common or well received. Ammunition: The scout rifle needed to be able to neutralize threats up to 1,000 lbs. with one shot with a conventional, widely available caliber. Cooper decided on the .308 round, which was to be fed by box magazine or stripper clip. Sights: Because the scout operated alone, Cooper determined the shooter must be able to shoot with both eyes open and not compromise peripheral vision. To facilitate this, scout rifle utilized a forward-mounted low-power scope. Since optics can be damaged or fail especially in austere situations, the scout rifle should include an iron sight system, preferably a ghost ring aperture, with a front sight that wouldn’t snag on clothing or brush. Support: The scout rifle should have some quick-loop sling; Cooper favored the Ching Sling, but any sling could be used so long as the sling could be looped up to provide support for shooting, not just carrying. Cooper also advocated for built-in bipods, which few rifles could pull off due to the added weight and heft especially when trying to keep the whole gun in a light, tight package. Accuracy: Cooper prescribed acceptable accuracy for a scout rifle at 2 MOA (minutes of angle), wherein the user could shoot three-shot groups at four inches at 200 yards. Some folks argue that the Scout Rifle is a romantic conceit, a frontiersman’s rifle in an era where there are no frontiers. A fighting rifle is a semi-auto with a reflex sight, and a hunting rifle — if you need one — doesn’t need iron sights. A feller even asserted that in a modern, urban environment, the real “Scout Rifle” is a Glock 19. Killjoys. Of course the Scout Rifle is romantic. Col. Cooper was a romantic. What’s wrong with a little romance? OK, I run an AR-15 these days, and my carry gun is a compact polymer semi-auto pistol, but… any Scout-type rifle is bound to catch my eye; which is what happened last night when some Coyote Trickster pointed me at the Sako Tikka T3 Arctic. The T3 is the civilian edition of a rifle recently issued to the Canadian Rangers. The CRs is a sub-component of the Canadian Armed Forces Reserve officially formed in 1947 to provide a limited military presence in the country’s remote northern, coastal, and otherwise barely civilized areas. It’s a volunteer, part-time, civil-military force of about 5,000 people, split among five geographical regions. 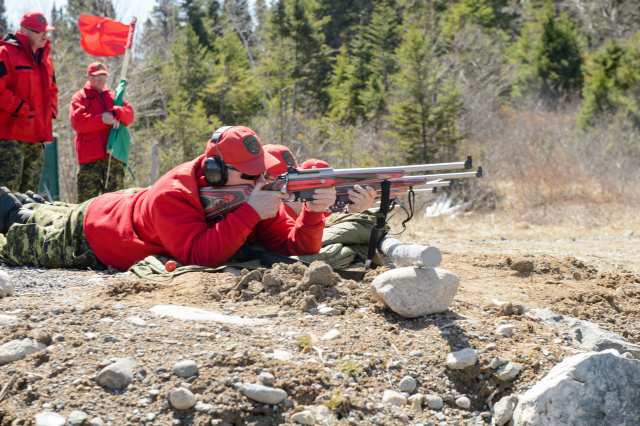 We’re talking about them because we’re looking at the Tikka T3x Arctic through the lens of the Canadian Ranger’s requirements for its recently adopted C19 rifle. The T3x Arctic is the functionally, and practically identical commercial version of the issued rifle. Meades’ patrol group is 1,050 CRs, covering 2.7-million square kilometers. That’s about the area of everything in the continental U.S. west of Texas, minus New Mexico. …The CRs are issued rifles for a few reasons; the first is personal security. The Canadian wilderness is a CR’s office, and it’s as wild as it is beautiful. It’s a place where predators, small and large, need to be scared off or dispatched. Second, it’s a means of sustenance. Whether at home or out on patrol, CRs hunt. And, unlike traditional military units, the Rangers keep their service rifles at home where they’re free to train and hunt with them. The remaining uses trail off into recruiting efforts, the rare auxiliary law enforcement, and even rarer military action. For decades, the CR was armed with Lee-Enfield rifles. Yep — the venerable old warhorse. Their armorers can’t keep them serviced nowadays, so it was past time for a new rifle. What they came up with bears a lot of resemblance to the Scout Rifle: short; handy; good irons; .308 caliber. It eschews the forward-mounted scope, which I never cottoned to myself. A 1×6 on quick-detach mounts — all ye need and all ye shall ever need. The wild-looking laminate stock is super-stable in a vast temperature and moisture range and the high-tech stainless steel is extremely resistant to corrosion. Call it the Ranger Rifle. It’s just plain badass. Years ago I bought my first rifle, a Remington 700 Mountain rifle. I choose the shorter, lighter type because I figured I’d be carrying it a lot more than shooting it while hunting. I got it chambered in 30.06. KICKS LIKE A MULE. I can’t shoot more than 10 rounds at the range without starting to flinch. Still fine for hunting but I wouldn’t make that mistake again. Fast forward a few years, my wife wants to hunt, but she’s small. 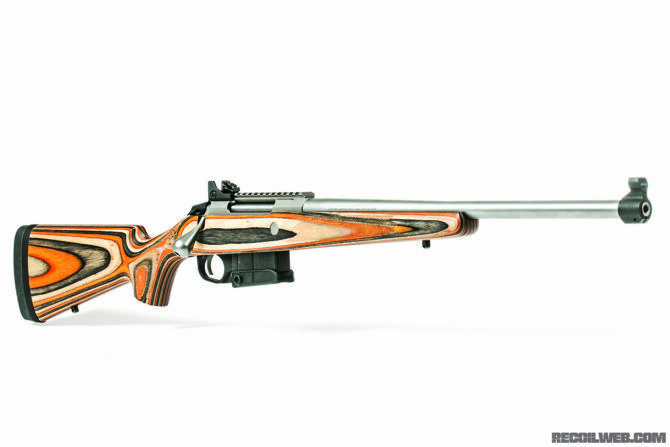 We looked for a small, lightweight rifle for “her” and found the Tikka T3. Chambered in .308 with a Vortex variable scope, synth stock and stainless steel, I don’t worry about the fall rains of the Cascades or Coast range when I take “my wife’s” rifle out instead of my own. The rifle is a tack driver, easy to carry and comfortable to shoot. Love it. Like you, I always liked the idea of a “scout rifle”. Glad to hear the CR’s are going with it. Outstanding. Vortex seems to be producing quality optics at working man price point. Scout Rifles need to considered on a geographic basis as well. A .308 would be fine in Oregon. I carry a Marlin Guide Rifle .45/70 here in Alaska. It is short and light but packs a punch increase I run into any hairy things. The Scout Gunsite .450 sounds interesting, but I’m not sure what the availability of ammo might be. A place certainly exists for a Scout rifle for folks like us that poke around in out-of-the-way places. The Sako looks like it will take care of business! 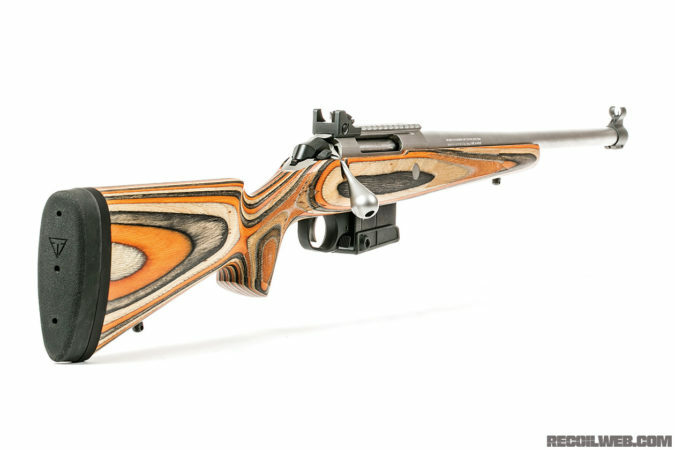 Ruger and Savage also make nice scout rifles ranging in price from $850-$1200. Until I can convince my wife to eat beans for six months so I can afford one, I have modified my model 94 Marlin 44mag with an XS scout rail for an intermediate eye relief scope, with a Williams ghost ring rear sight and a hooded night fire front sight for backup. The 20″ stainless barreled gun holds 10 rounds of those deadly accurate Hornady leverevolutin 225 grain FTX bullets. This gun is always in the truck when the dirt roads of the California/Nevada borderlands call. All of us who shoot and hunt owe Col. Cooper a debt of gratitude. That set-up will do pretty nicely, I’d say. It’s almost like a solid idea never really goes out fashion. Weird, eh? Haven’t dealt much with the Tikka family personally. Worked on plenty though, and as of yet haven’t had anybody with bad to say about their rifles. Rather Tikka than Browning’s commercial offerings any day, and the modern Savage brand draws my ire more often than not. At this point Remington may be the heir proper to Mauser’s kingdom – small coincidence, I think. The less said about autoloading sporter rifles the better. Still, I have an unreasonable love of the old No1 Enfields. It’s looking like the next project is shaping up as a faux BSA Sporter built off a quasi-butchered 1915 ShtLE…something about lions and Africa and railroads. Shame .303’s gotten so expensive. …something something solid ideas. It won’t be an exact duplicate but I expect it’ll do for this part of the world. If I’m uncommon careful I can keep it under $600, including the donor rifle. And if it’s still there when that one wraps up there’s a semi-butchered 1907 Oberndorf Mauser out on the rack been calling me. To tell you the truth I’m not sure where this interest in vintage African rifles came from. Didn’t have it before school. Sure didn’t gain any ground while I was there. Eh – could be worse, I guess. Could be a crack habit. I’ve been eyeing BLR’s in .308 for similar reasons. I’m not a huge fan of forward mounted “scout scopes” though. I will admit to only having shot through them a few times but that “both eyes open” thing would take more than a bit of training to work for me. It just doesn’t seem necessary or valuable to me. A true 1x power scope (like an AR variable or a hog scope) in standard position seems like a better option. The more time I spend with my AR, the more I appreciate my old Rem 788. 7mm-08, simple birch stock and minute of pie plate accurate out to 300 yds which is as far as I have any business shooting at anything. I am also a hopeless romantic so of course my ideal rifle would be a Tikka T3X in 7mm-08 dressed up like a sporterized Finnish Mosin M39. I have a Savage 99 .308 Lever Action that is a good Scout rifle. However, it was my first big rifle and it is in pristine condition. It just stays hung on the wall next to a picture of Yellowstone Kelly holding one in Alaska near here. Enjoyed the Post! My Krag is probably one of my favorite rifles. I picked it up for a great price because it had been sporterized. Even though its not in original condition the stock on it is beautiful and I don’t feel nearly as bad about shooting it often. Love the history behind it and look forward to reading more about the Philippine-American War era! A nice rifle that nearly fits the Cooper Scout Rifle definition is the CZ 527 Carbine in 7.62×39. This little gun is light, accurate, and has an amazing set trigger. It had no problem taking a West Texas pig at ~75 yards open sights. I reached out to CZ and asked about ammunition and they said that its designed to shoot everything from steel cased surplus ammo to higher end brass which makes it a very economical option. I’m a huge CZ fan, and I’ve had my eye on the 527 — though I would likely go with the Mannlicher stock out of sheer aesthetic pleasure. The ten pound weight of the Canadian Ranger rifle is too much. It’s beefy, for sure, when every pound counts.